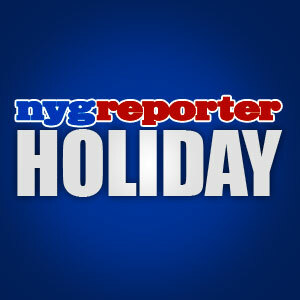 NEW YORK – On behalf of the nygreporter, I would like to wish all of the Dads out there a very Happy Father’s Day! I know that today might be a difficult day for some of you and I want you to know that you are not forgotten. This includes those who may have had a father pass away or those with Dads in the military who are overseas. Keep them in your prayers today. I would also like to include the Giants players, staff and coaches in my well wishes. I hope all of you kids reading this remember to give Dad a big hug and a kiss today. He might seem like a tough guy but trust me, Dads still like to be shown some love from time to time (even if he won’t admit it). I would also like to say Happy Father’s Day to my own Dad, I love you man! We have now reached 100 days (I do not subtract those few days the judge lifted from the lockout because the lockout continues) since the 2011 NFL lockout started. There are plenty of Dads out there that are concerned about their jobs during these harsh times we live in today. The NFL employs a lot of people and individual teams are no exception. This lockout is effecting families all over the country and I really hope it ends soon. Reports have been stating that real progress has been made and that the lockout could end sometime within the next 2-3 weeks. Seeing is believing. We will have to wait and see how accurate these reports have been. To all of the sons and daughters out there, I hope you take moment to appreciate everything your Dad has done for you. If you’ve had a Dad that was less then what he should have been, that doesn’t mean that you cannot be a good Dad. I hope some of the lost souls out there can find peace and for the good Dads out there, thank goodness you were man enough to do the job. God Bless and Happy Father’s Day! This entry was posted on Sunday, June 19th, 2011 at 6:40 AM and is filed under 2011 Fantasy Football, 2011 New York Giants, 2011 NFL Draft, 2011 NFL Lockout, 2011 NFL Minicamp, 2011 NFL Preseason, 2011 NFL Regular Season, 2011 NFL Training Camp, Big Blue, Chris Mara, East Rutherford, Eli Manning, G-Men, Giants, Giants Coaches, Giants Draft, Giants Front Office, Giants History, Giants Roster, Giants Stadium, Giants Training Camp, Jerry Reese, John Mara, Jonathan Tisch, Justin Tuck, Kevin Gilbride, New Jersey, New Meadowlands Stadium, New York, New York Football Giants, New York Giants, NFC East, NFL, NFL Lockout, NFL New York Giants, Nilay Shah, NY Giants, NYG, NYG Blog, NYG Draft, NYG Exclusive, NYG Fantasy Football, NYG Minicamp, NYG Preseason, NYG Regular Season, NYG Reporter, NYG Story, NYG Training Camp, NYG Website, nygreporter, Pat Hanlon, Perry Fewell, Roger Goodell, Steve Tisch, Tom Coughlin, Tom Quinn. You can follow any responses to this entry through the RSS 2.0 feed. You can leave a response, or trackback from your own site.